New knitting- little gadget/phone holders. I’ve knitted a couple of these, just as an experiment, making the pattern up… I quite like them! It’s like having a little cosy for your phone. 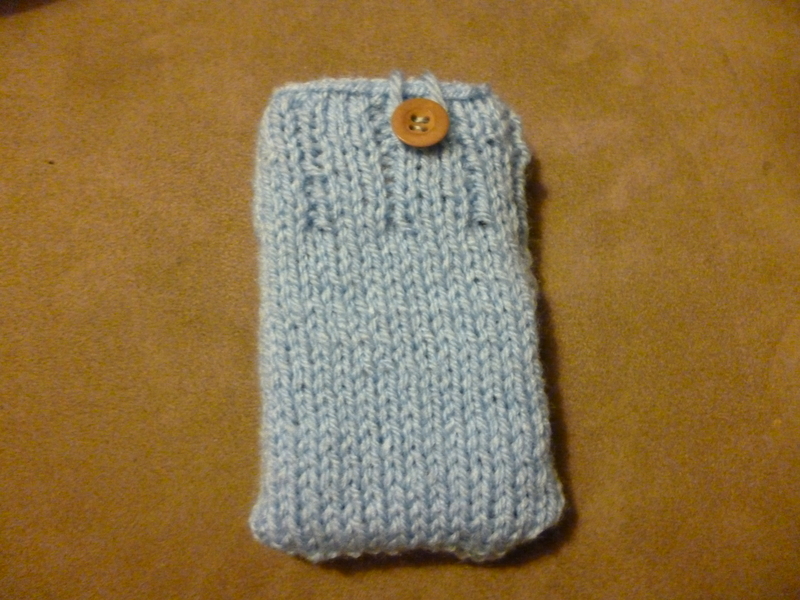 This entry was posted in Craft, Knitting and tagged Knitted phone holders. Bookmark the permalink. Post a comment or leave a trackback: Trackback URL.